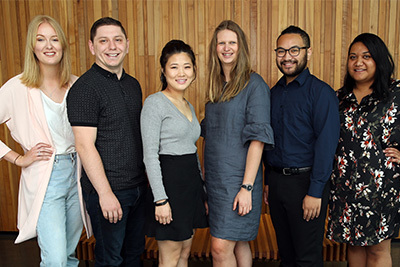 During CO.STARTERS@AUT you develop and fine-tune your ideas, critically examine every part of your business idea and determine the next steps, all through real-time feedback from people in the community. The programme cost includes course materials, weekly sessions with a facilitator and guest speakers, and access to community events, networking opportunities and small business resources. If you are AUT alumni, you can apply for a scholarship discount ($499 instead of $699). Contact us for details. Trading businesses may be eligible for a capability voucher towards CO.STARTERS under the NZTE training scheme. AUT staff may be able to make it part of your professional development allowance. Contact us for details. Each cohort will meet one evening a week for 9 weeks. Each weekly session is 3 hours. 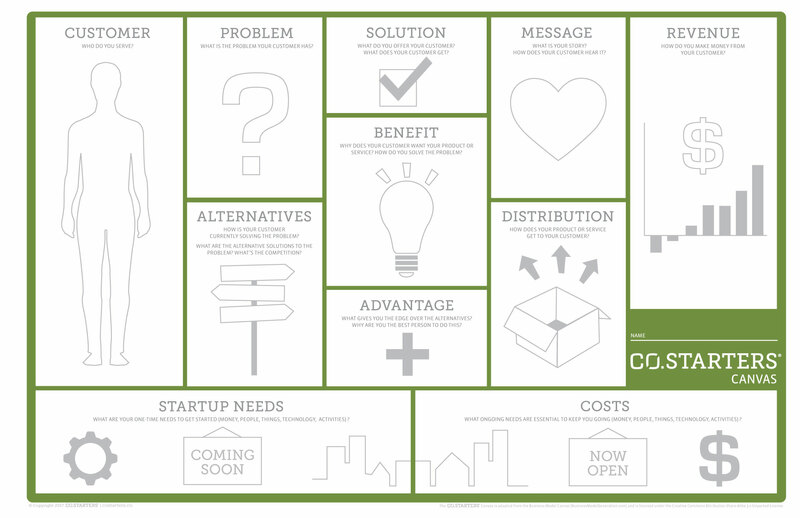 The CO.STARTERS Canvas helps you understand, test and refine your business ideas. If you're interested in getting involved with CO.STARTERS, you can register your interest online now. Get in touch with the CO.STARTERS team for more information about our programmes and how to get involved.